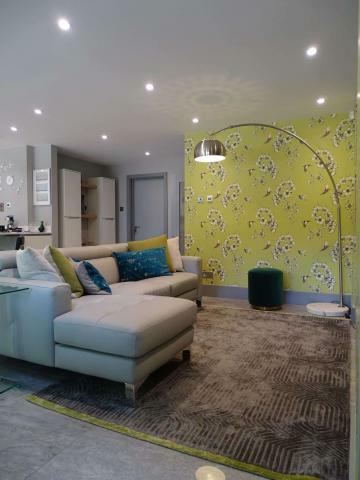 Amersham interior design company Willox Interiors is now offering affordable interior design and home décor services for homeowners in Amersham, Beaconsfield and the surrounding areas, providing versatile solutions for projects of all sizes. Willox Interiors, an interior design team based in Amersham, England, announced an updated range of affordable interior design services for homeowners in Amersham, Beaconsfield, Gerrards Cross, Berkhamsted, Little Chalfont, Chalfont St Peter, Chalfont St Giles and the surrounding areas. The company works on projects of all sizes, offering advice adapted to the needs, preferences and budgets of each client. More information can be found at https://willoxinteriors.com. Interior design and home décor services are typically associated with large, luxurious homes, many considering them too expensive for the average homeowner. The new services offered by Willox Interiors aim to do away with this preconception by offering versatile interior design solutions for projects of all sizes. From single bedrooms to multi-story homes, the company works closely with each client to help them create a unique décor personalised to meet their goals without exceeding their budgets. Clients looking to freshen up their interiors can contact Willox Interiors for professional colour consulting. The Amersham home décor experts help clients choose the ideal colour for each space, offering practical suggestions on the best type of paint and additional wall decorations. Interior redesigning and home staging services are also available, with a special package offered to homeowners looking to prepare their homes for sale. The comprehensive home staging package can significantly improve the chances of selling a property for the best price. With the recent update, Willox Interiors continues to diversify its range of interior design services for clients in Amersham, Beaconsfield and the surrounding areas.